This post looks at three alternative strategies that you can use to trade Japanese yen. Yen has some unique attributes that set it apart from other currencies. It is the third most traded currency after the US dollar and the euro. USD/JPY is the second most liquid pair after EUR/USD according to latest BIS figures of turnover. The yen is typically sensitive to the general risk outlook. When markets perceive risk ahead, the yen appreciates. When risk outlook is low it depreciates. The yen is known as a primary safe haven currency. But this seems ironic when the Japanese economy has been dogged by low growth and deflation for the past two decades. The contradiction can be understood as follows: Japan has large foreign reserves – it’s a major creditor to the rest of the world. This means it is less dependent on the rises and falls of international bond markets where credit can be shifted away from a country very quickly. Historically, Japan has maintained a trade surplus to the rest of the world. However, this has deteriorated somewhat and in late 2018 Japan has been running a trade deficit. Nevertheless, these factors, along with its political stability contribute to the yen still being a riser in times of uncertainty. The graph below shows the Japanese yen index versus the VIX. The VIX is a widely used measure of risk. The correlation isn’t perfect but there is a clear general pattern. In most case yen is higher when risk is on the rise and lower when risk is falling. There were a few exceptions such as the late 1990’s when the Asian crises were in full flow. Uncertainty will often rise after a surprise event. For example, after Brexit and Trump’s win in the US election we saw this yen effect. There was a big appreciation of the yen while markets digested the consequences. These kinds of event trades often have excellent risk adjust returns. This is because markets have already priced in for a certain scenario; for example, Brexit not happening, and therefore the risk premium is relatively under priced. When you buy yen for example, betting on the alternative, the chance of yen falling dramatically if you are wrong is quite low. As an example see Figure 2. The left box shows USD/JPY during Brexit. The last upward leg happened as markets were “certain” of a win for remain. If remain had won at this point we may have seen a modest upward rally and then possibly a downward correction as positions closed. In fact the dollar fell 7.2% as the yen appreciated. GBP/JPY fell by nearly 17% in one day and by 22% over the following few weeks. Ideally, the trade is entered before the event happens and implied risk rises. But it is sometimes profitable to trade these events after the fact as well. Your loss is limited to the option’s price – you can never lose more than the initial stake. A theme trade won’t give you an overnight jackpot like an event trade will, but it is a good strategy for the medium to long term. The yen has had some prolonged trends in the past. Not just against the US dollar, but against currencies like the AUD, CAD, GBP the euro, metals and oil. The Japanese economy makes it a good play against other currencies during economic cycles. The graphs below show yen versus the euro, the Canadian and Australian dollar. All of which are more geared to the economic upcycle, increasing activity, rising interest rates, rising commodity prices, and decreasing risk aversion. The yen on the other hand typically has an inversely relationship to commodity prices. It tends to decline with rising oil prices, and increase in times of falling oil costs. Of course the relationship isn’t perfect because there are many other factors that affect exchange rates – but it’s noticeable. See Figure 4. The last decade has seen some big falls in commodity prices, and this has benefited the yen. And when oil prices begin to rise again, that’s going to pressure yen. Yen depreciation: The Bank of Japan has employed quantitative easing since 2001 in an attempt to kick start inflation. But this easing is now winding down. QE has kept interest rates ultra-low and puts continual downward pressure on the currency. Those short yen, often benefit from positive interest carry (see below). Ranges: In the past, the Bank of Japan has suggested that they would like to see USD/JPY stay within the range 110 to 120. Even if they don’t adjust policy to maintain this range, the fact of the central bank saying that the currency is overvalued/undervalued can be a self-fulfilling prophesy. Even if policy change is needed to maintain the level going forward. You can try to anticipate these announcements when USD/JPY moves beyond the preferred range. 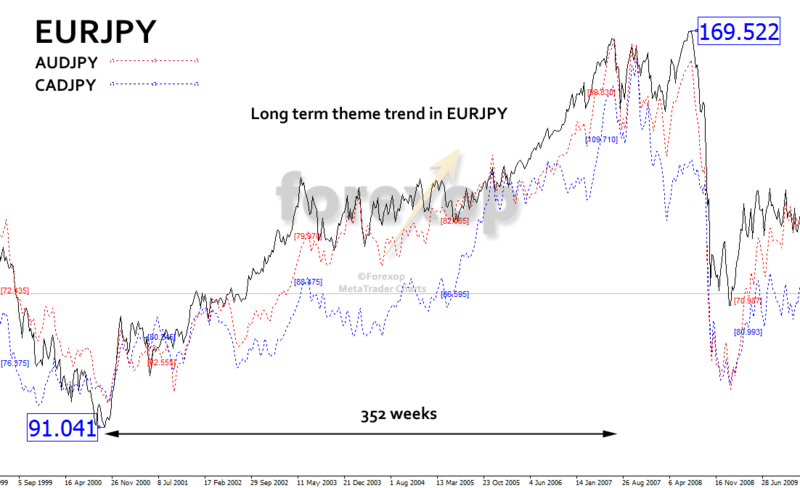 Trends: Yen has seen some powerful trends as it adjusts to economic activity elsewhere in the world. Japan’s demographics, monetary policy and economy mean the disparity will be there in the foreseeable future. Therefore new trends are likely to develop in similar ways as they have in the past with new economic cycles. Ultimately, all boil down to the same thing – profiting from interest rate differentials. Carry trading can be profitable when markets are benign and volatility is low. Hedge funds and private investors use the carry trade as a staple strategy. They’ll often use leverage to magnify relatively small interest differentials. The yen has had a low, and even declining interest rate for the last two decades. Over the same time most western economies have gone through several economic cycles with rising and falling interest rates. This makes the yen a natural choice for carry trade funding. 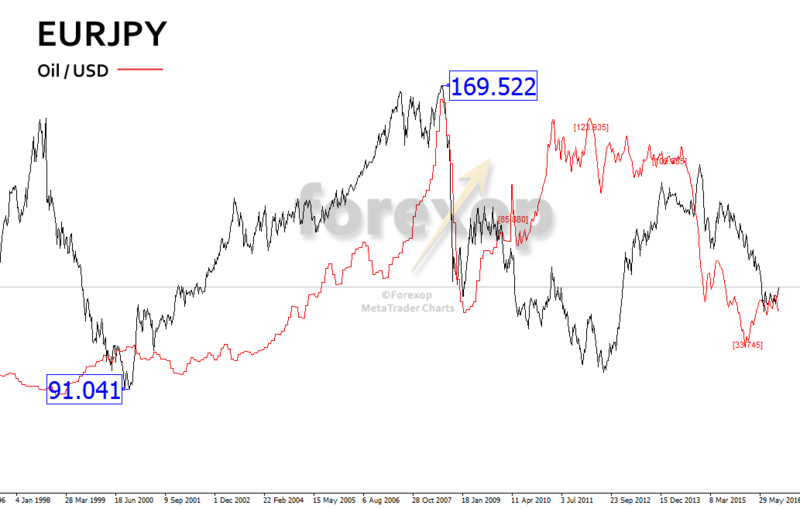 The other side of the yen carry trade would typically be a high yield currency of a major economy. Choices for example would be either the Australian dollar, US Dollar or New Zealand dollar depending on the rates. See here for latest rates. The attractiveness of the carry trade can change suddenly. This happens as interest rate outlooks change and economies change. That can result in rapid unwinding or liquidation of positions. Carry trade unwinding usually results in a strong correction with yen surging as those traders with short yen positions have to buy them back very quickly. See Figure 1. The easiest way to protect against this is to hold out of the money call options on yen. If a sudden rise happens, the call option will cover the loss. 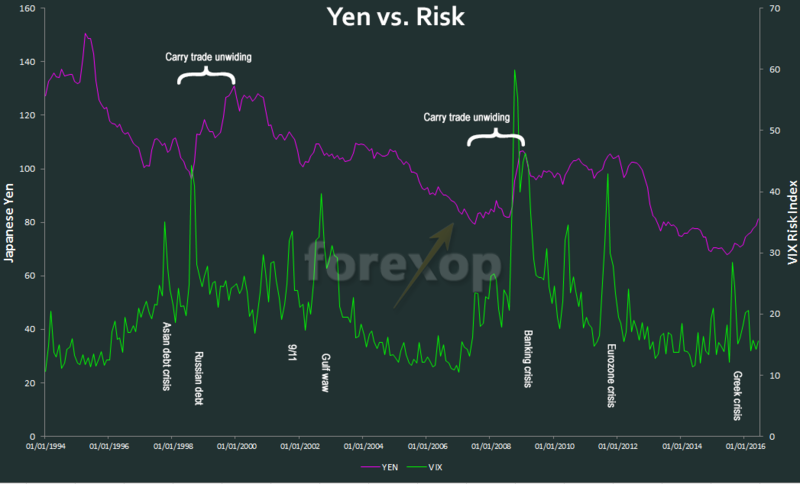 In low volatility markets, out of the money yen call options are very cheap. These are a worthwhile insurance against heavy losses even though they will reduce carry trade profits a bit. While the Japanese economy is ever changing, the yen still offers some interesting trading opportunities that can be profitable if well timed. 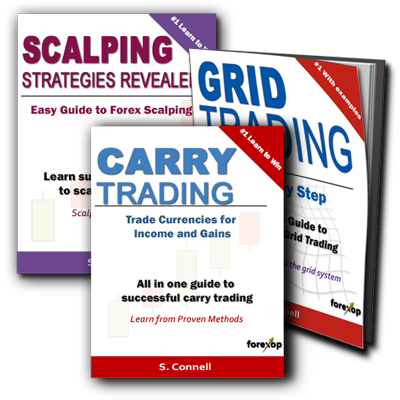 Can You Trade More Profitably Without Stop Losses? 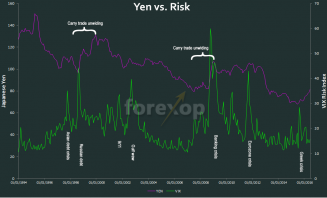 What are the Alternatives to the Yen Carry Trade? Are these 3 yen trades still valid in making money? How can options be used to execute them? All of the 2017 articles on your blog are of high quality and as a trader I can related to them easily in view of my own experiences. Thank you.